At the start of a new year, we tend to plan all the home improvements and updates we’d like to invest for our homes. But a few months down the line, many of us find we’ve still not yet started them. Sound familiar? If this is you, then don’t panic. Limit your home improvement ‘to-do’ list to the ones that will instantly give you double the benefit. By double benefit, we mean that you not only get to enjoy a new kitchen, patio, or other improvements, but you can also add value to your home. It’s worth bearing in mind that not all remodelling or renovation projects give you the same return on investment. There are some improvement jobs which instantly add value – both for your enjoyment and for the house price. Look at focusing on high-return projects for the remainder of 2019. Here are five key improvements to look at this year which are totally worth your time, effort and money. Even though it’s not yet summer, that didn’t stop outdoor additions from topping this home improvement list. A tidier, neater looking garden complete with beautiful patios make spending time in your garden so much more appealing. Plus, if you have potential buyers when you come to sell up, they will judge your garden on the state of the patio, fences and grass areas, as these would cost them money to repair. If you take the time this year – ideally before summer – to invest in your back garden patio, it will give you a much more pleasant outdoor area to enjoy. Look at ways of improving your concrete patio, if that is what you have. You don’t have to break it up and re-do completely, you can get away with re-finishing it with a stain, scoring pattern or paving veneer. Perhaps you could create a mini wall which breaks up the patio to the grass or invest in colourful flower beds or hedges. Though it may seem like almost an afterthought, the doors in and around your house make a huge statement. Any old, tired looking doors give a first impression before anyone has even walked into the room they are about to enter. And let’s not get started on your front door. This is a key door to replace to make a statement. 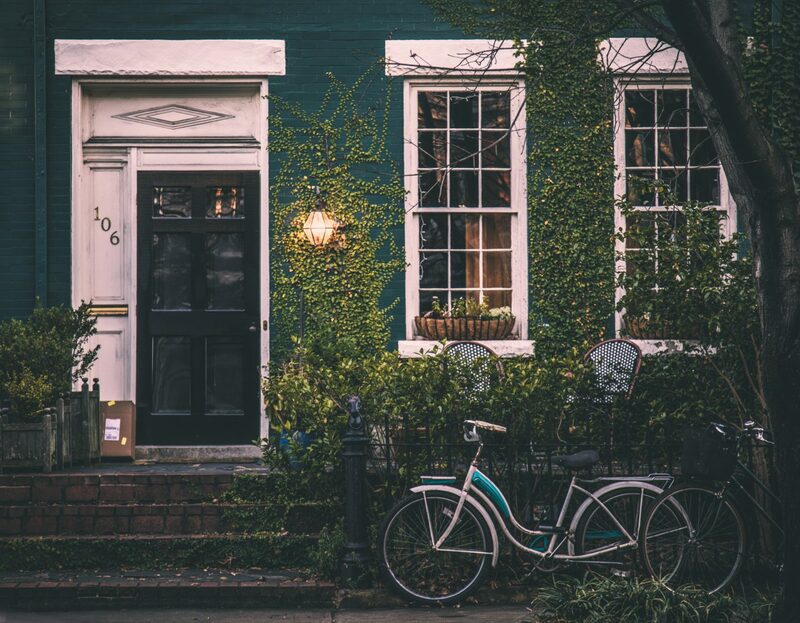 The main doors to invest in if you don’t quite have the budget for a full door replacement is the front door and the back door, which leads into your garden. The front door needs to represent your home and the general feel you want to give off. It should also match the window panes and style of your home, i.e if it represents a little cosy cottage or a modern new build. You can really make a statement with your back door which leads to the garden, as you have a little more flexibility here. It may be your dining room or kitchen as the ability to lead out to the garden, or it may be that your back door opens out into a conservatory. Look into folding divider doors, which let in lots of natural light, and give you a full view of the garden. These will instantly improve the home from the inside, but also significantly improve how the house looks when stood from the garden, too. Bi-folding doors always carry that element of luxury, giving off a premium feel to your home. Firstly, exterior projects that create “curb appeal” generally produce higher returns than interior projects. So if you’re limited to the number of improvements you can carry out this year, external ones are always ideal to tackle first. Exterior modifications instantly change the way your home is perceived from anyone looking at it before they even step inside. That all-important curb appeal doesn’t just add value to your home, but it can help it sell more quickly, too. As mentioned above, your front door is one of the most important updates to tackle. After this, look at your front garden, window panes, driveaway and any gates. It’s even the little things that can make a difference, from the number/sign on your house to the letterbox and front wall. Stand outside your house and imagine you are a passerby. Identify a few aspects of the house which effect ‘curb appeal’, and get these on your home improvement list for 2019. If you have been thinking of adding an extra bathroom for a while, now may be the time to take the plunge. It’s becoming more popular now for new homes to be built with either an ensuite to the main bedroom or a downstairs toilet alongside the main bathroom. This new trend is leaving older homes falling behind, with many people searching for homes with two bathrooms. There is absolutely no doubt that by adding an extra bathroom to your home will increase the value of your home significantly. Plus, if there are more than two of you in the home, you have probably been considering how much better this would be for your daily lives anyway. Similar to the updating your back garden patio which topped this list, decking is something to really look at this year. It might be that you already have decking and it simply needs sprucing up (you should re-paint and clean up your decking every year), or your garden might be in need of decking to improve your outdoor space. Decking made of composite materials are becoming the hottest trend, but tradition decking made of wood is still a popular choice. By implementing a large decking area to your back garden creates a new space for your garden furniture, and can really work to create structure and layout to your garden. Remember that if you want to simply update the look and feel of your home so that you can enjoy it, and of course add value, then you don’t need to go too over the top. Midrange projects tend to add plenty more value, without the need to carry out a huge renovation project which could set you back a small fortune.